Jarry plays a very athletic, butterfly style. His technique is good and he gets in and out of the butterfly very quickly and does not leave large gaps between his legs or between his arms and body. Jarry has quick legs throwing out his pads to take away the bottom of the net. His glove hand is excellent and takes away the top corners. He moves around the crease well, with good puck tracking and the ability to go post to post with ease. His backwards skating is also solid which should allow him to challenge shooters off the rush. While having solid technique, Jarry is also very instinctive and more than just a "puck blocker" as he has great reflexes and can make the odd diving save that wouldn't expect him to be able to get to. 2009-10: Tristan Jarry played bantam hockey in British Columbia with the North Delta Sundevils and was select by the Edmonton Oil Kings in the third round (46th overall) of the 2010 WHL Bantam Draft. 2010-11: Jarry split the goaltending duties with Brodie Burdeny for the Greater Vancouver Canadians midget major team in British Columbia. In 20 regular season games he had a 2.31 goals against. The Canadians advanced to the playoff semifinals after finishing in third place and Jarry played all six playoff games. Jarry won a gold medal with Team British Columbia in the 2011 Canada Winter Games; playing in two games with a 3.30 goals against and .868 save percentage as Jackson Whittle handled the bulk of the goaltending. 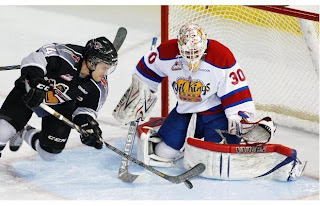 2011-12: Jarry appeared in 14 games for the WHL champion Edmonton Oil Kings in his first season of junior hockey and played for Canada Pacific in the 2012 U17 World Hockey Challenge. 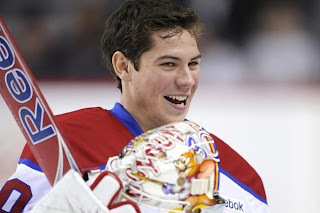 He was 8-2-1 for the Oil Kings and had a 2.93 goals against and .894 save percentage. Jarry did not see any post-season playoff action as a backup to starter Laurent Brossoit in the WHL playoffs and at the Memorial Cup. Jarry was 2-0 at the WHC, sharing the goaltending with Eric Comrie, and finished with a 1.95 goals against and .943 save percentage. 2012-13: Jarry returned to Edmonton for a second season, seeing a bit more time while Brossoit once again handled the majority of the goaltending. 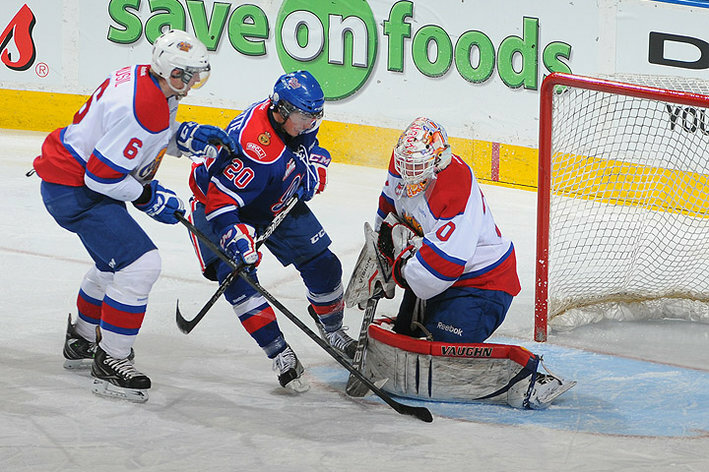 In 27 games for the Oil Kings he was 18-7 with a team-high six shutouts and had a 1.61 goals against and .936 save percentage. The Oil Kings again finished first in the Central Division. Jarry made his first playoff appearance, playing 26:30 minutes in relief of Brossoit in Edmonton's Eastern Conference finals game with Calgary. He stopped all three shots he faced. Jarry was ranked third amongst North American goaltenders in Central Scouting's final rankings prior to the 2013 NHL Draft. Jarry is a hybrid, athletic type goaltender that’s typically dominant in today’s NHL. Jarry is a big goalie who relies on his size and takes up a big portion of the net. He does a good job of staying square to shooters and does a great job catching pucks through traffic. Ever since exploding onto the WHL scene, he has worked hard to improve his stick handling, using Marty Turco and Carey Price as examples for improvement. Jarry is not a flashy netminder, as he is known to be technically sound and efficient, not using too much movement to get himself out of place. Unlike many NHL goaltenders these days, he doesn’t tend to drop into the butterfly as quickly as possible, as he usually tends to watch the play develop a little more before taking away the shot at the last minute. It may sound risky, but his ability to read plays is one of the biggest upsides for the Oil Kings tendy. It’s not clear whether or not he can withstand the grind of being an everyday starter over the long-term as he has been sitting behind Brossoit for the most part, however its likely he will get a lot more chances to prove himself when Brossoit turns pro next season. Jarry needs more experience and needs to hold down a starting job, so next season will be Jarry’s first real chance to prove that he can be a very talented goaltender in the future.